After last week’s excellent Mr Porter The Journal photo-story that looked at style-conscious country outfitting, the e-retailer has once again come up on top with this story with Chase Crawford. 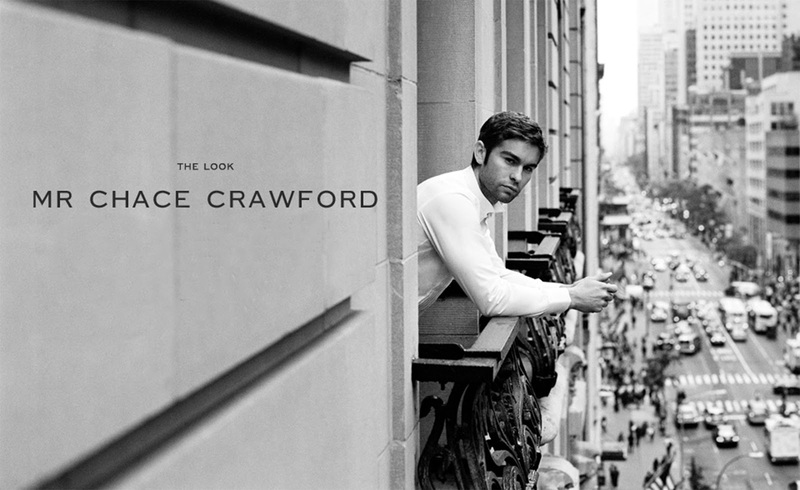 We have long known that Crawford is a style icon, a clothes horse of the best breeding both in the hit TV show Gossip Girl and private life. Shot at the St. Regis hotel in New York, the captivating images, with an air of 70s nostalgia, by Angelo Pannetta, Crawford is styled by Dan May using pieces from Dolce and Gabbana, Burberry Prorsum, Acne and Valentino to name but a few. With an accompanying interview conducted with Freddie Campion, this is a story not to be missed and gives great styling cues for the Christmas party season.